Wow, I can't believe it is October already. It's time again for a new Title Talk challenge. 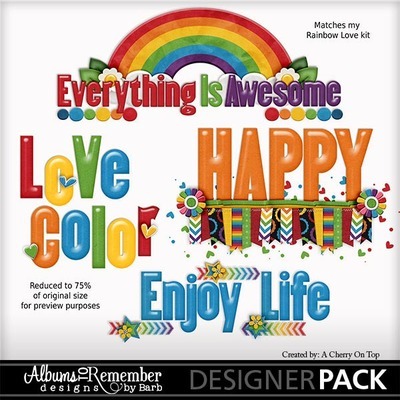 You can use the matching Rainbow Love kit or the Rainbow Love Polkadot Add-on or any other kit of your choice. (On sale this month). Post your layout on this thread and I will send you a loyalty stamp for this month. Have fun!